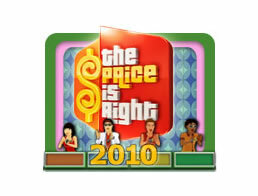 The Price is Right 2010 Game - Download and Play Free Version! Come On Down and Win Big Money! If you have ever found yourself wishing that you could be a contestant on The Price is Right, this is the game for you! You will feel like you're a part of an episode of The Price is Right from the moment you boot up this game thanks to the authentic, genuine atmosphere. This well crafted title contains the actual music from the game show along with virtual versions of the real sets from the show. 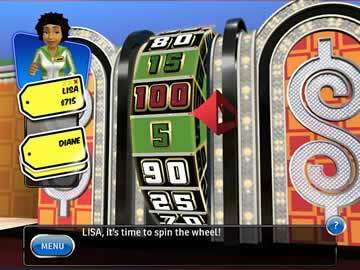 No detail was overlooked during the transition from hit TV game show to interactive game, making this title a surefire winner for anyone who has watched and enjoyed The Price is Right. The game has excellent graphics that are smooth and slick looking, and the cartoon avatars are colorful, blending well with the backgrounds. The audio quality is also wonderful and practically indistinguishable from an episode of the show. This game offers classic, 3 strikes and party modes. In classic mode, the game plays out just like an actual episode of The Price is Right. In 3 strikes mode, you may play as long as possible until all 3 strikes are up, with the goal being to rack up as much money as possible. Party mode lets you get your friends in on the fun by playing head to head with up to 4 players on one computer. All of these elements from the show have been masterfully translated into a perfectly playable game that will bring back many fond memories of the actual TV show. It's a fantastic gameplay experience! 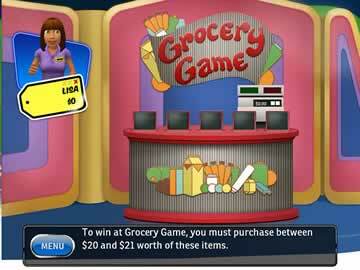 As you play the game, real footage from The Price is Right is used to present the products and items that are up for guessing. Be prepared to see genuine brand name products, just like the real show. This adds to the fun atmosphere and also improves the gameplay. Guessing the value of real items is part of the charm! You may choose from a number of avatars at the beginning of the game and then customize them as you see fit. It's up to you to choose your features and clothing. Then you may choose from 4 different attitudes for your avatar, and this will decide how they act during gameplay. The Price is Right 2010 is a must have for anyone familiar with the TV show!